Starcraft offers wallpaper decals for their latest model kits. These decals give your models the same appearence as the cgi ships they represent. The images below have the colors enhanced for clarity. 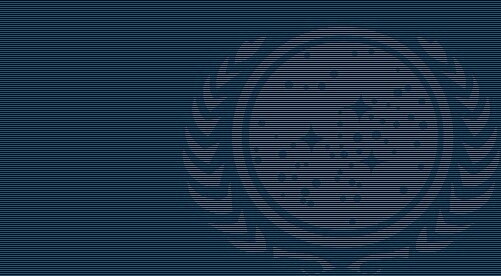 Complete decal skin for the Section 31 Constitution Mark II model kit. Two options are offered, Colored (pictured) or Grey Scale. Complete decal skin for Starcraft's USS Kelvin model kit. Complete decal skin for Starcraft's USS Newton model kit. Complete decal skin for Starcraft's USS Armstrong model kit. Complete decal skin for Starcraft's USS Defiant model kit. Complete decal skin for Starcraft's USS Mayflower model kit. If you would like to change the name any of any of Starcraft's Star Trek XI starships this sheet is what you need. Complete decal skin for Starcraft's NV-01 Intrepid model kit. Complete decal skin for Starcraft's USS Titan model kit. Here's a complete 3 page decal skin for Starcraft's Vulcan D'Kyr model kit. This 3 page package gives you a complete decal skin for Starcraft's 1:1000 Akira model kit. Complete decal skin for Starcraft's 1:1400 Akira model kit. Complete decal skin for Starcraft's ISS Titan model kit. These 2 sheets provide you with a complete decal skin for Starcraft's Norway model kit. Detail your Starcraft's Klingon D-4 model kit with this decal sheet. Add detail our Excelsior Class and Excelsior NX Class model kits with these decal sheets. These 2 1/2 sheets cover 1 kit and look amazing. Markings for both kits are on these sheets. Add detail our Excelsior Class (Refit) model kit. These 2 1/2 sheets cover the kit and look amazing. Paneling and shading markings only are on these sheets, no names or numbers provided.